The Flies be Gone Fly Trap hangs from a tree or post. 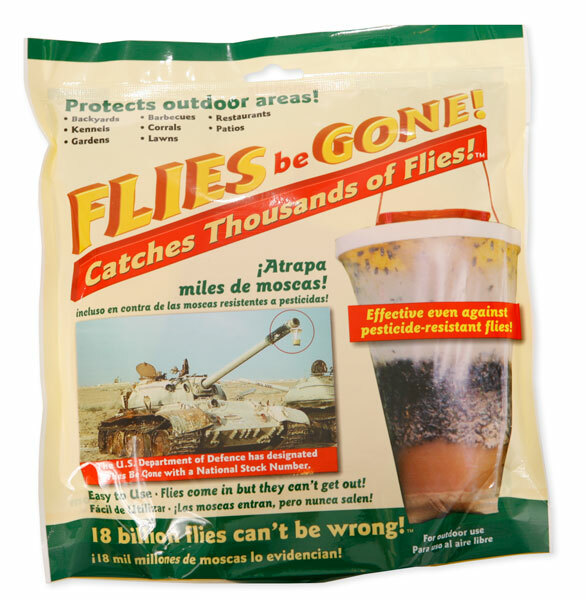 When it works properly, it captures thousands of flies. As long as the dogs cannot get to it, fumes or vapors will not effect them. If the dogs got to the Trap and ate it, it would probably make them sick from all the dead flies. The attractant used should not hurt animals.